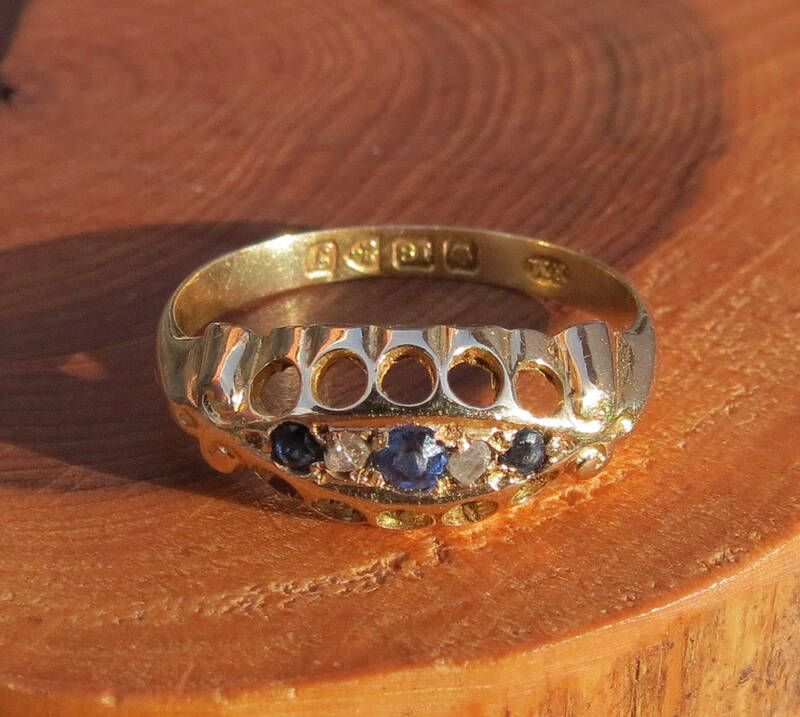 Antique 18K yellow gold 'old cut' diamond and sapphire ring, petite Antique, Dates 1919. 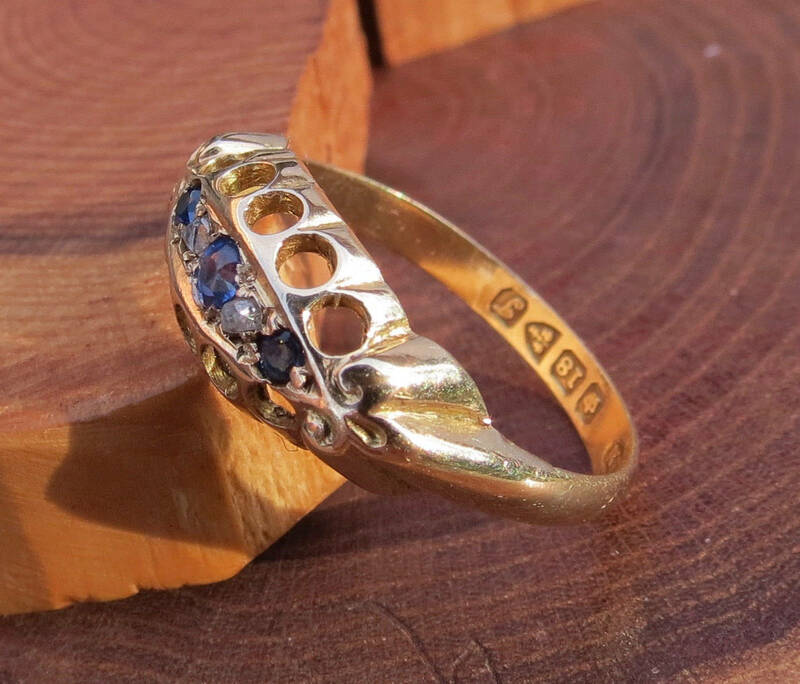 This 18k yellow gold antique ring was made in 1919. 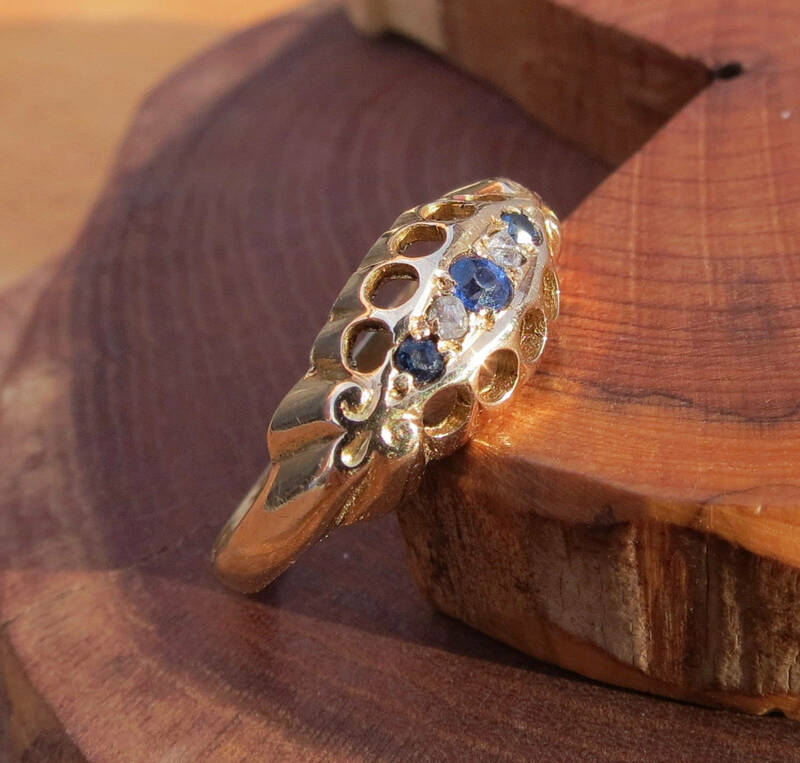 The petite graduated 'old cut' five stone ring has three round cut sapphire with accents of two 'old cut' diamonds. The arched yellow gold setting leads to shoulders of ornate design and a plain band. Very good hallmarks are from Chester with the letter stamp for 1919, one year after the Great War. George the Fifth was on the throne in Britain. 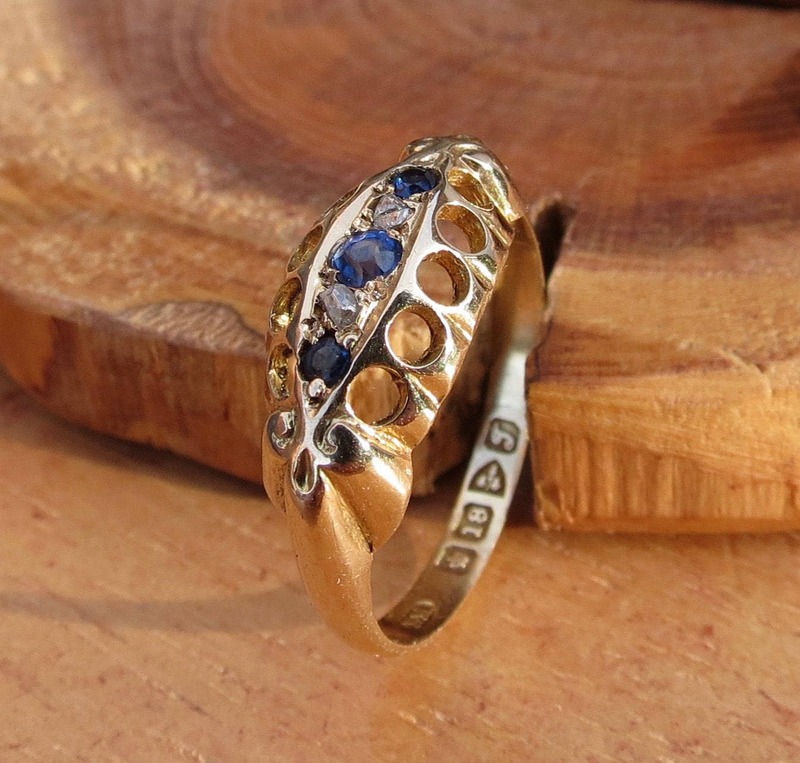 The photo gives good detail, and colour, but makes the ring look quite big, it is in fact dainty and petité. Most of the diamonds in this period during the 1800's to early 1900's would have been panned from the rivers in India which flowed from the Himalayas. They were then imported to England were the ring was made. The polishing of the diamonds was entirely by hand using natural light to emphasise the quality, fire and lustre of the stone. These antique diamonds are known as 'old cut'. 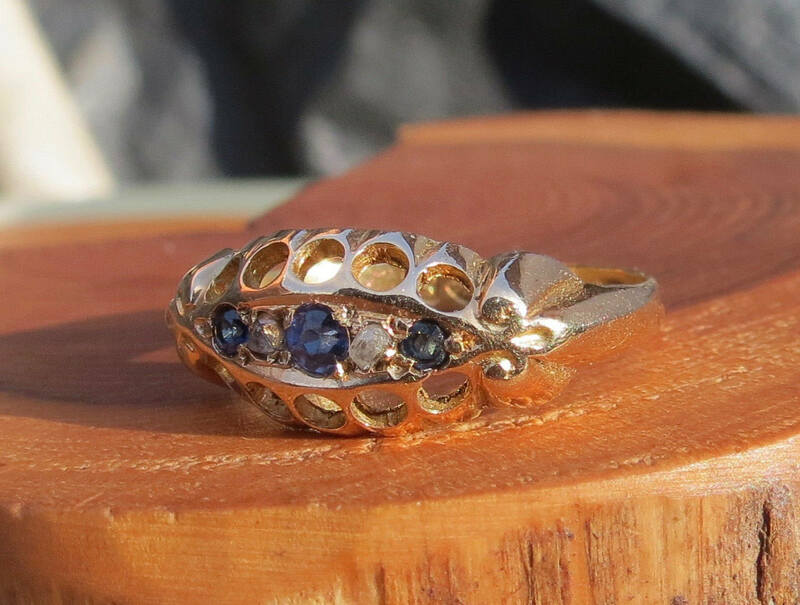 The sapphires which are mid blue in direct sunlight were likely in this Victorian period to have come from Sri-Lanka (Cylon).